The Western Passport Center in Tucson, Arizona provides short-notice passports in the event you’re making an international trip within two weeks or requiring a foreign visa within four weeks. If you’re facing a life-or-death emergency or situations where you must head abroad within five business days, the center also offers will-call service.The Western Passport Center is open for appointments from 8:30 a.m. until 3:00 p.m. on Monday, Tuesday, Wednesday, and Friday. On Thursday, the center opens at 9:00 a.m. and closes at 3:00 p.m. It’s closed on federal holidays. To make an appointment, you should ring the National Passport Information Center at 1-877-487-2778. You can do so 24 hours a day. The entrance to the passport center doesn’t actually open to East Rosewood Street; look for the canvas awning on the right-hand face of the building. There’s public parking adjacent to the entrance and also across the street in a lot. If you’d like to take public transportation to the Western Passport Center rather than drive, it’s a half-mile walk from the closest Sun Tran stop. When applying at the Western Passport Center you will need to make an appointment to apply for a passport at the Western Passport Center. While there’s no charge to make the appointment itself, you’ll have to pay a expedite fee on top of standard application charges. 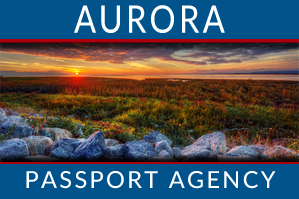 At this passport agency you’ll need to present proof of travel during the application process; also have on hand the confirmation number for your appointment, any completed forms and supporting documentation required, and an acceptable method of payment (which can be a credit or debit/check card, a bank draft, cash in exact change, a money order, or a check). Plan ahead on your appointment day so you can make sure the passport-application process goes as smoothly and expediently as possible. Arrive early to the Western Passport Center, keeping in mind that you’ll have to clear the building’s security screening. Then head for the information desk, where you can officially check in using your social security number or appointment-confirmation number and receive a number. When your number is called, you simply go to the appropriate window and a staff member will walk you through the process. Aside from those needing a passport for life-and-death or immediate (within five business days) travel, you can expect to receive your passport within eight business days of your appointment at the center.